Twin City is focused on growing Christ-centered men through Bible teaching, small group accountability, discipleship relationships, and godly fellowship with other Christian men. Journey Groups are small groups for the men of Twin City that meet in the early morning in various locations. The purpose of Journey Groups is the encouragement of growth in godliness through close accountability, fellowship, discussion, and prayer. Please contact Mike Ryals to get connected to a Journey Group today. This is a bi-monthly gathering for all men in the church. Meeting in the Fireside room, we will study theology together in order to be sharpened and strengthened in our walk with God. Several times a year, this ministry meets for food, fellowship and the study of Scripture in order to grow in character and leadership skills. 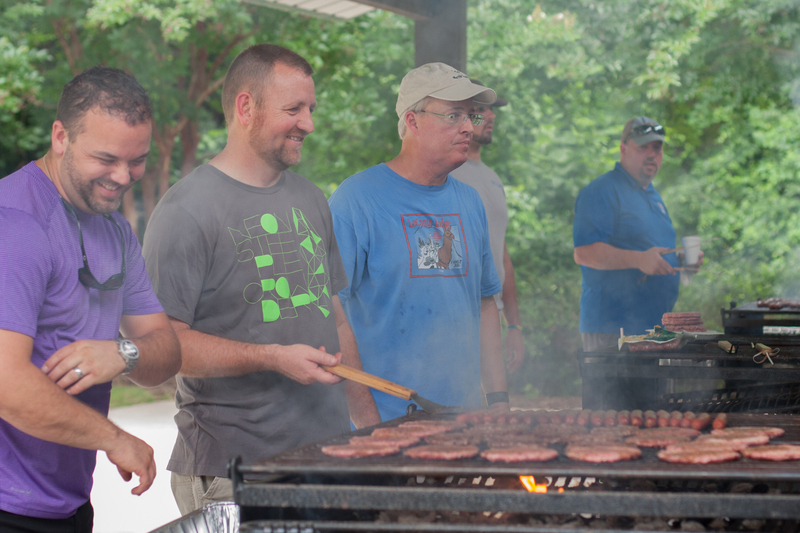 Each Spring the men have a weekend retreat to study God’s Word, pray, and fellowship.